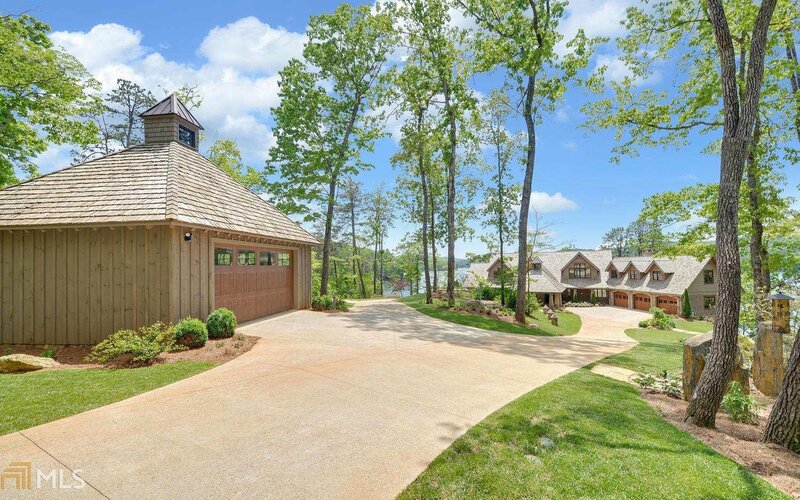 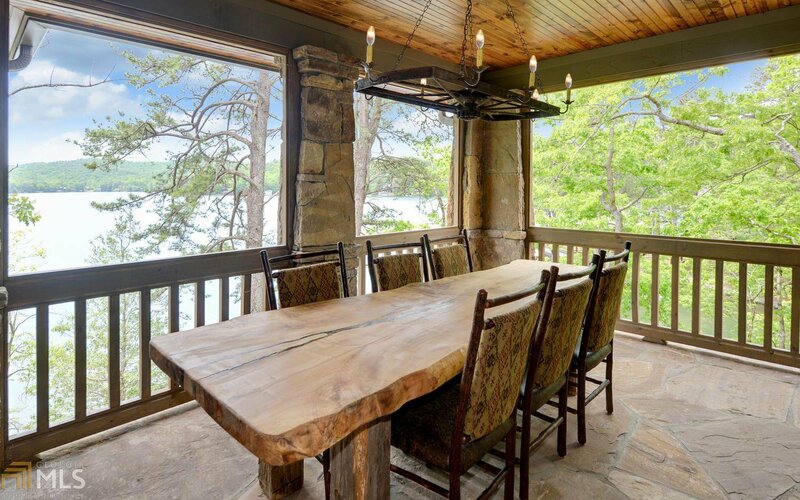 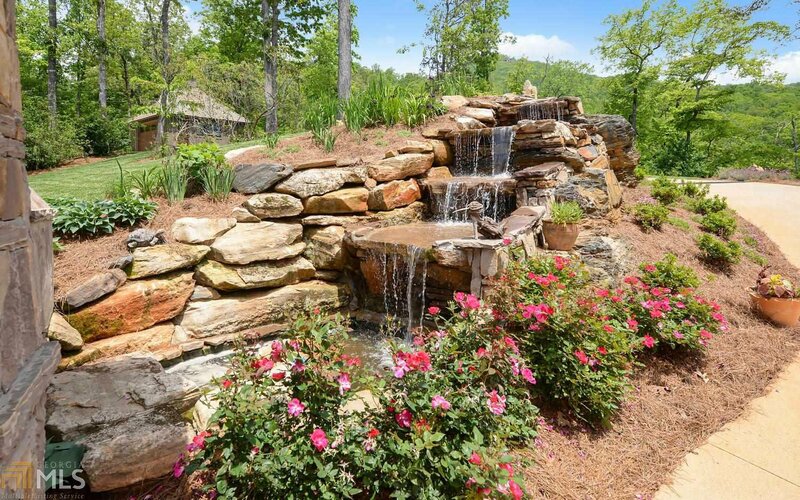 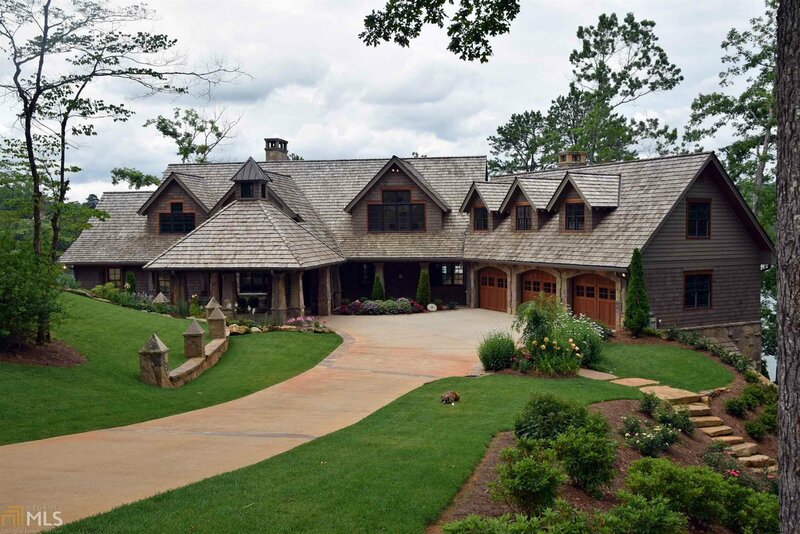 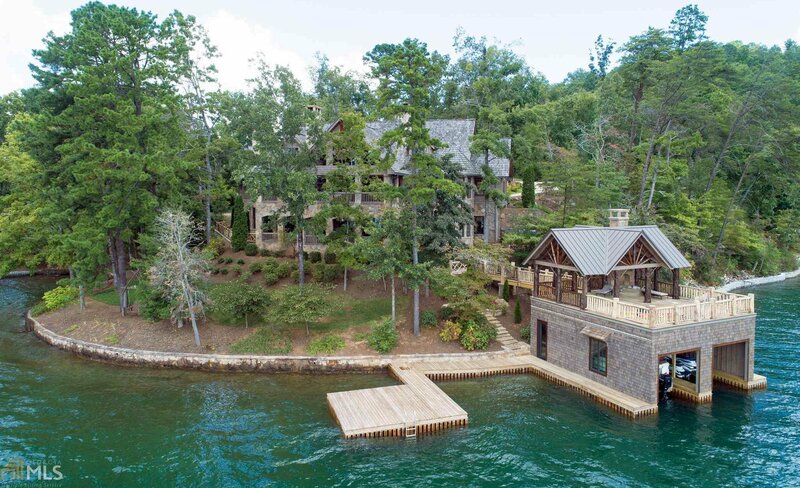 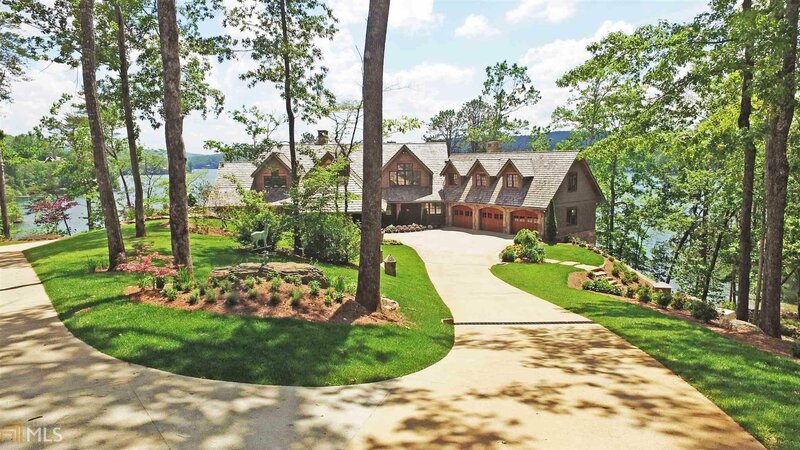 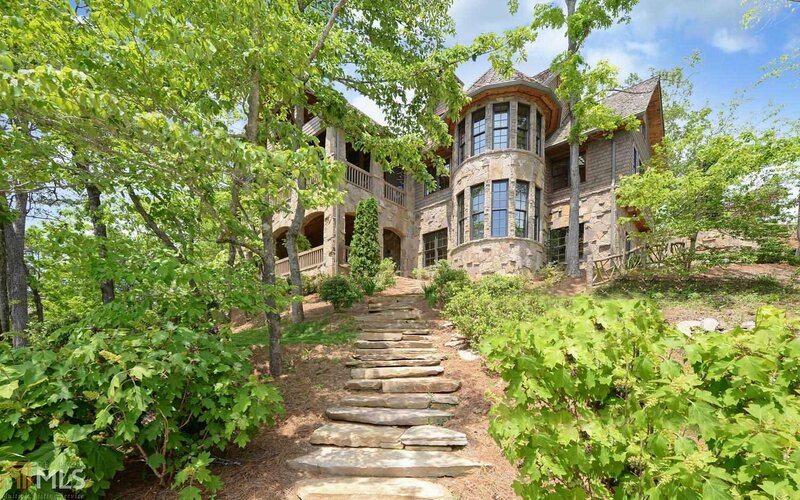 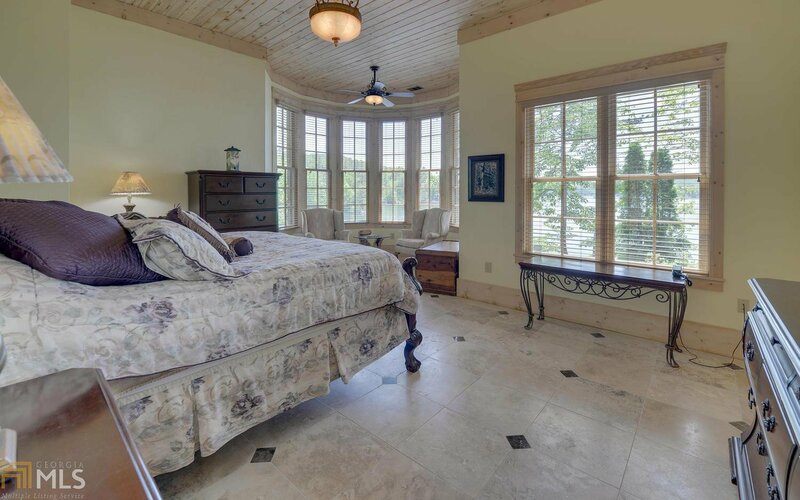 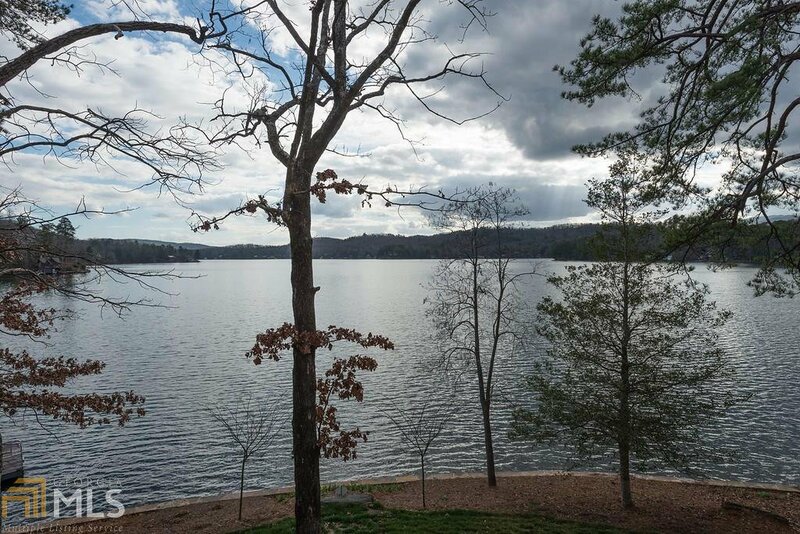 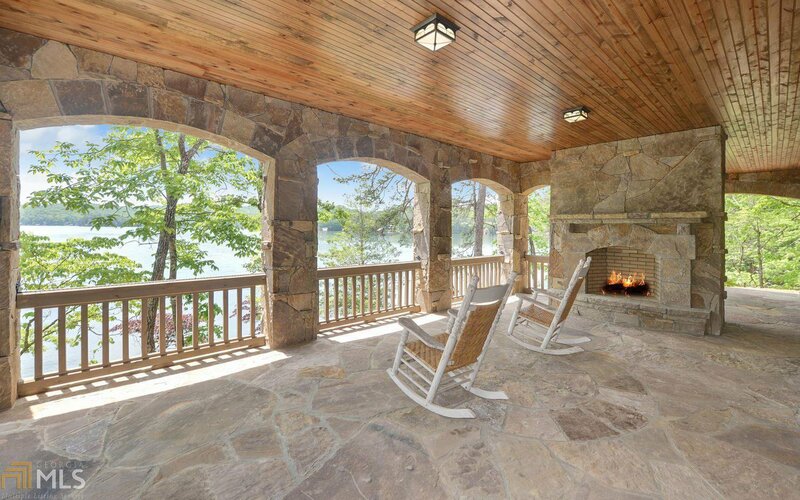 This 7BD/7.5 ba stately Lake Burton retreat is gracefully positioned on manicured grounds enjoying long range lake & mountain views. 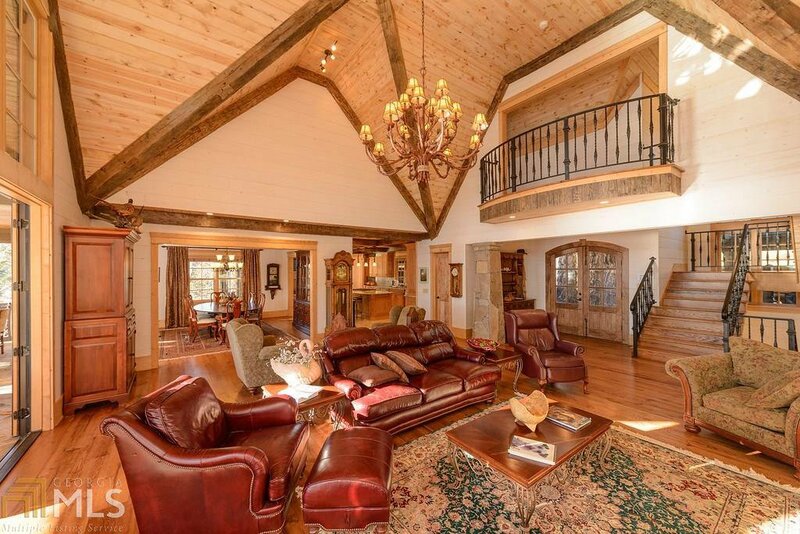 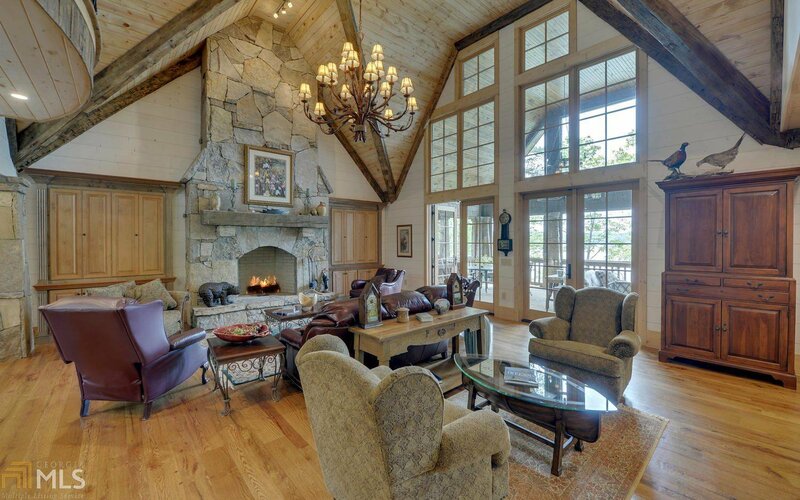 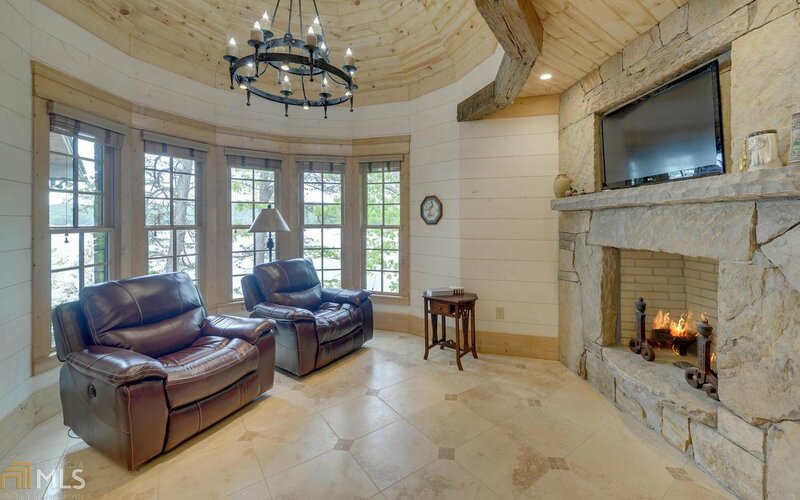 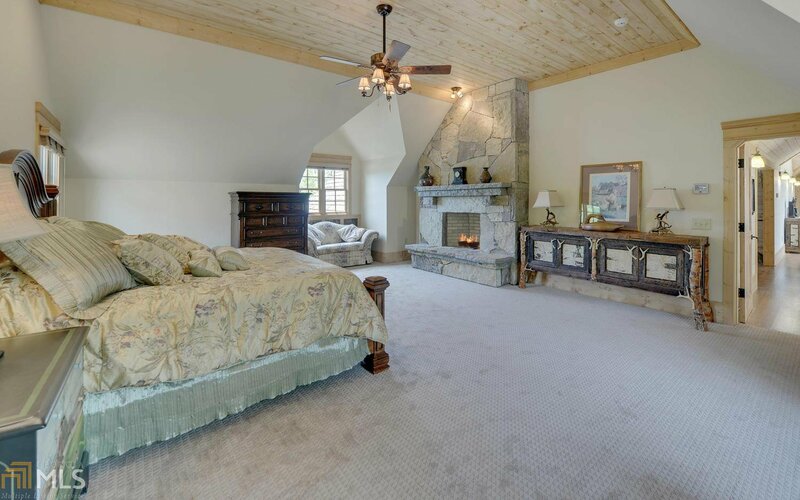 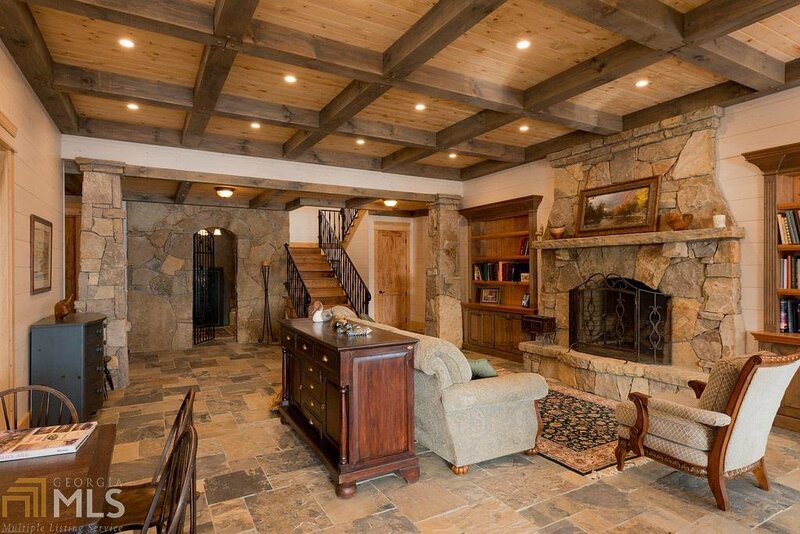 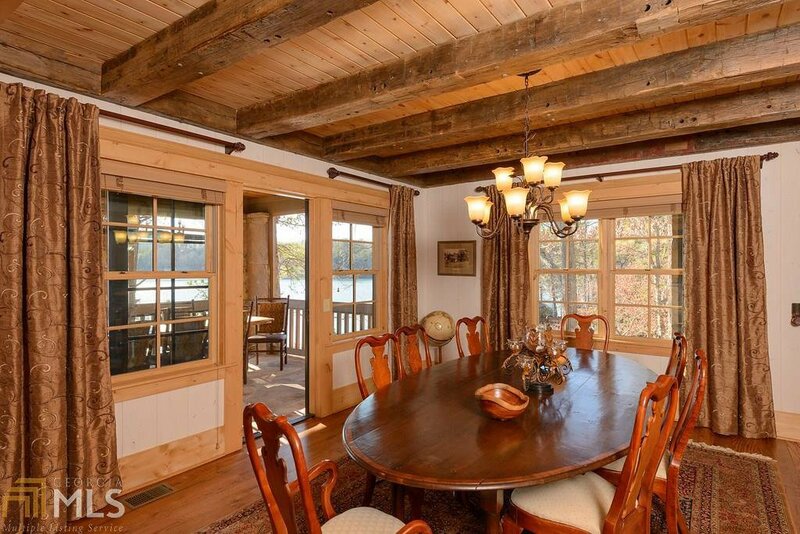 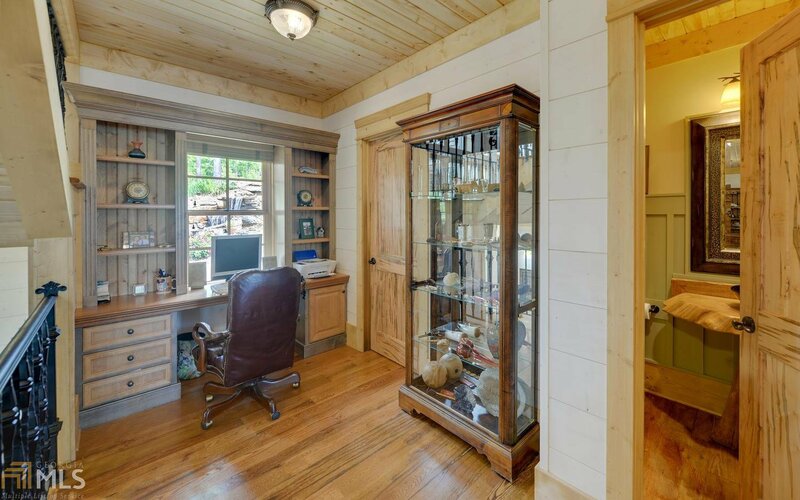 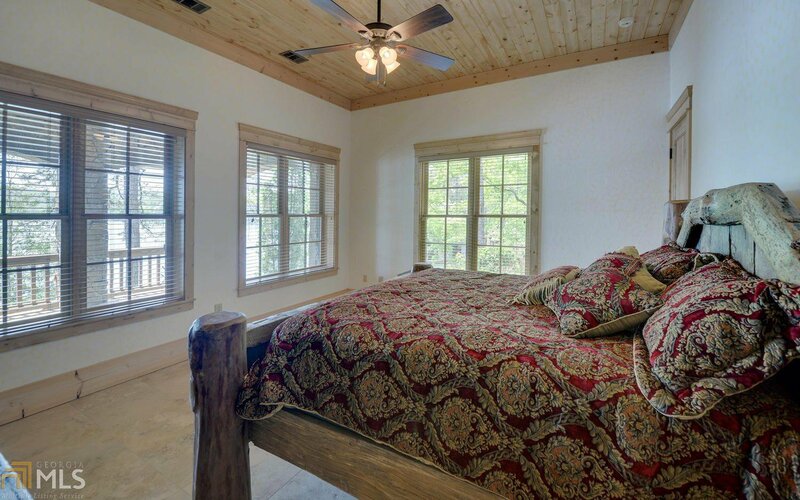 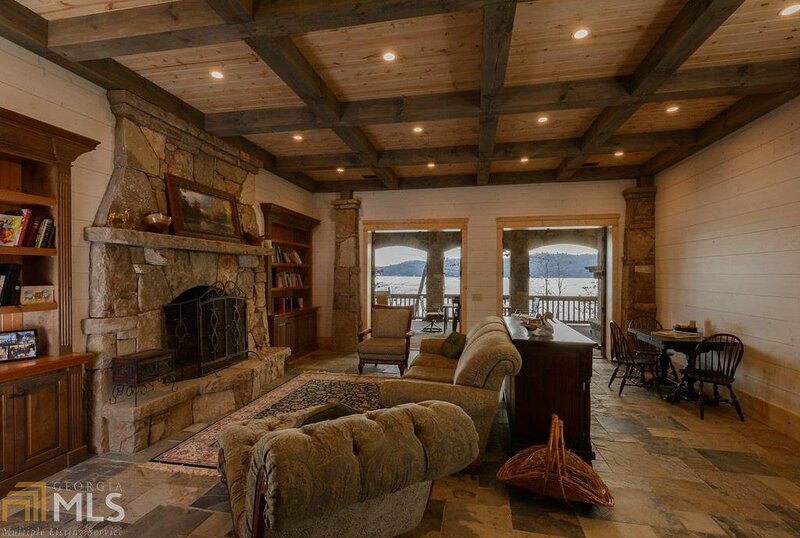 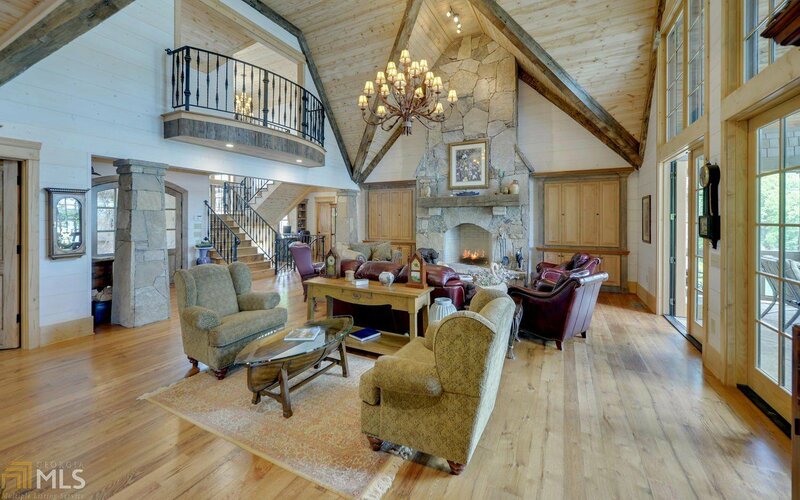 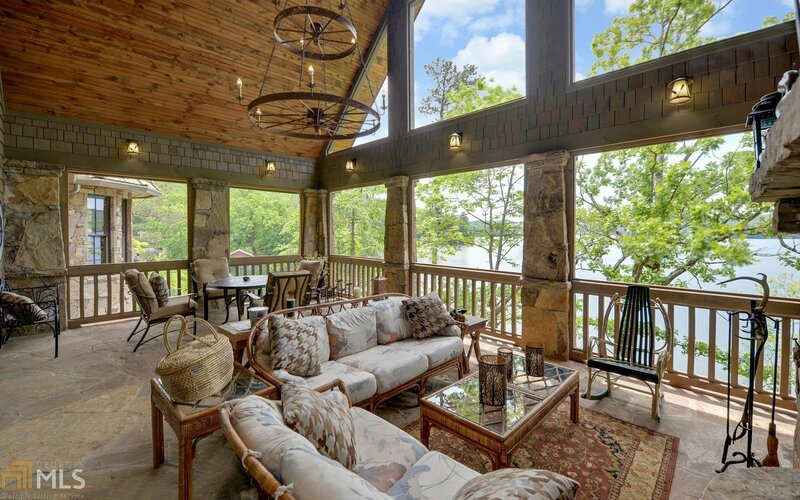 The 2-story great room features a vaulted ceiling, reclaimed beams, oak flooring, stone fireplace & floor to ceiling windows framing lake views. 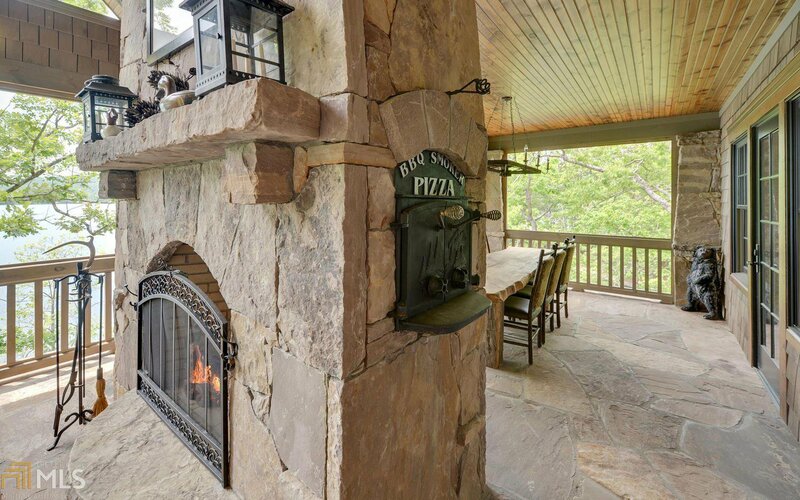 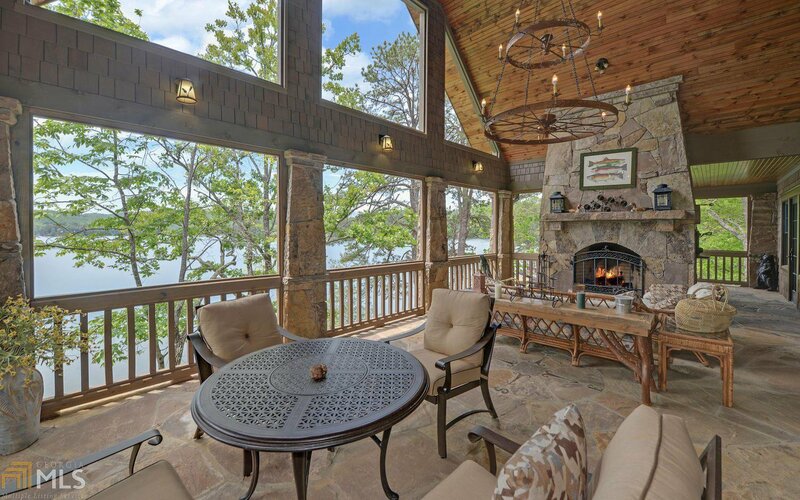 A lakeside porch acts as an outdoor living room with fireplace, built-in pizza oven and dining area. 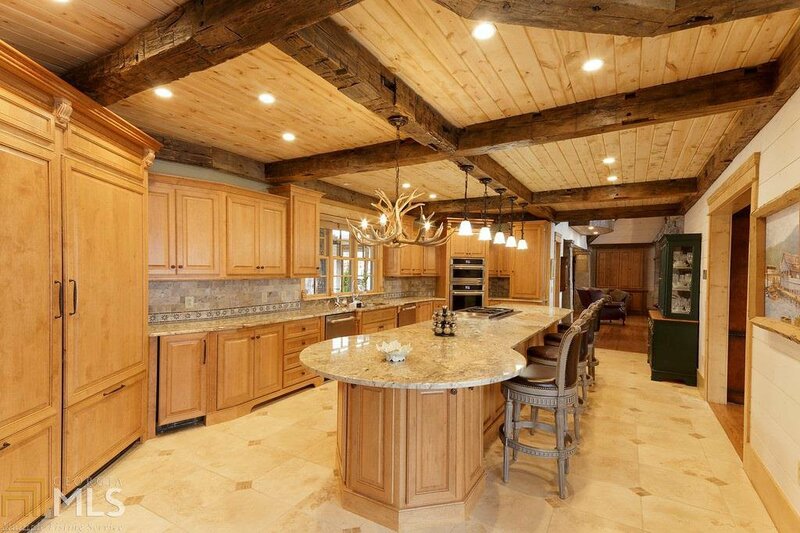 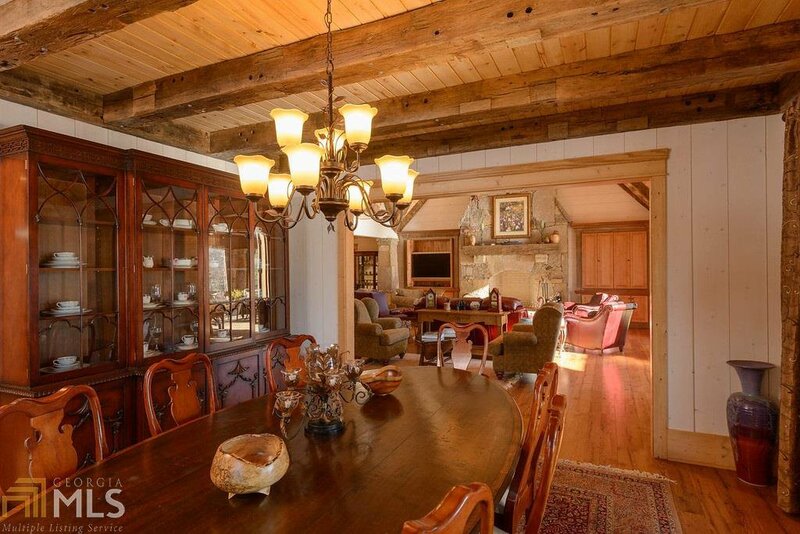 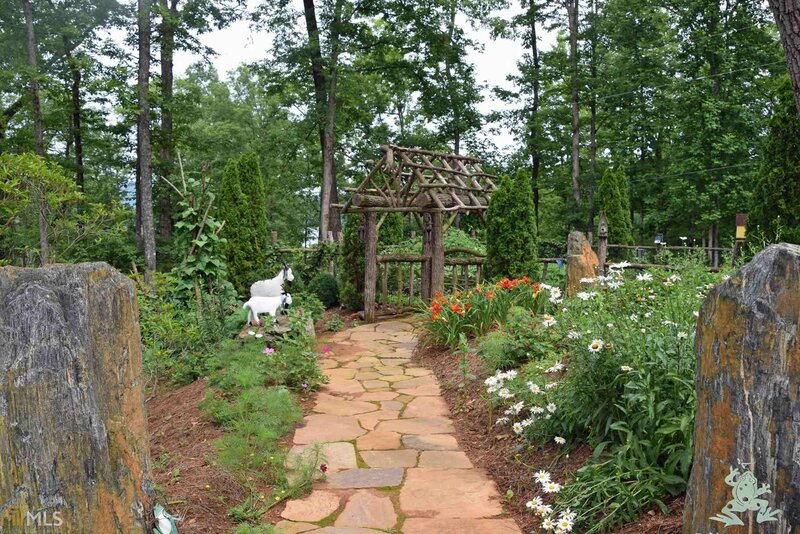 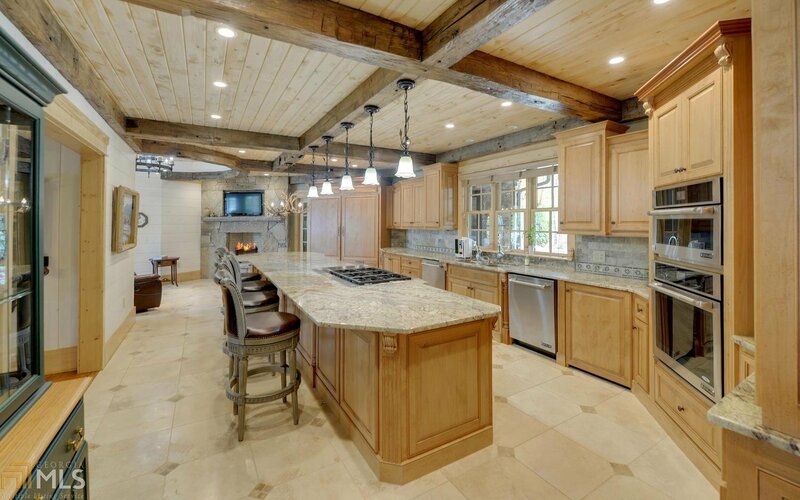 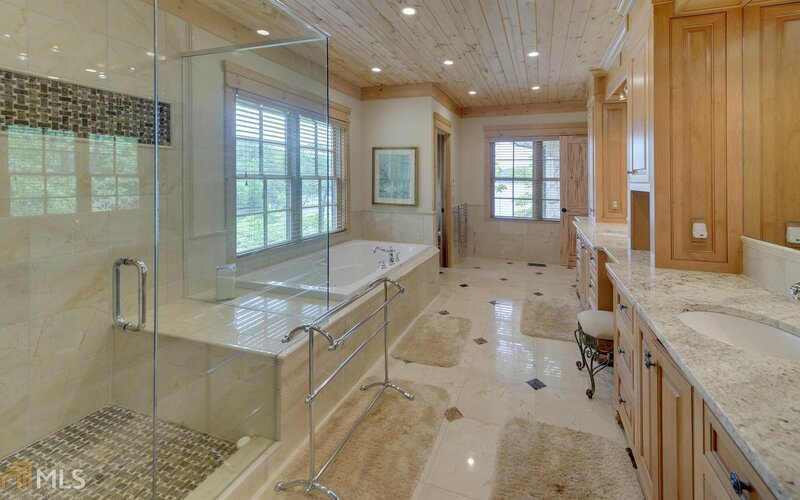 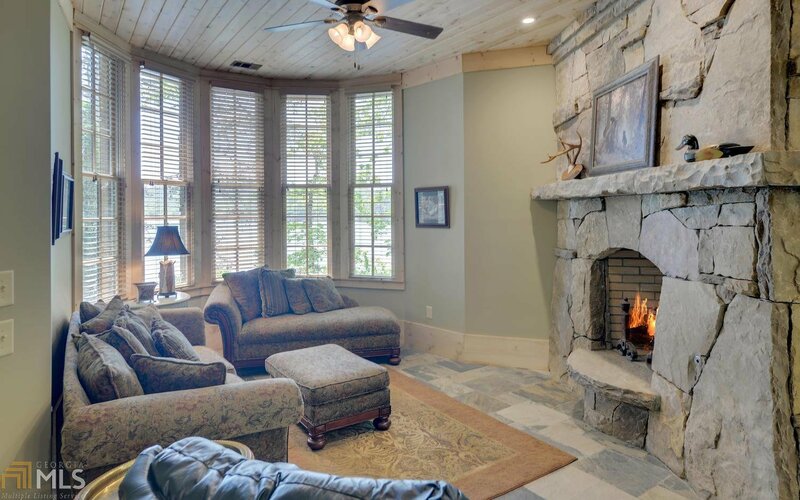 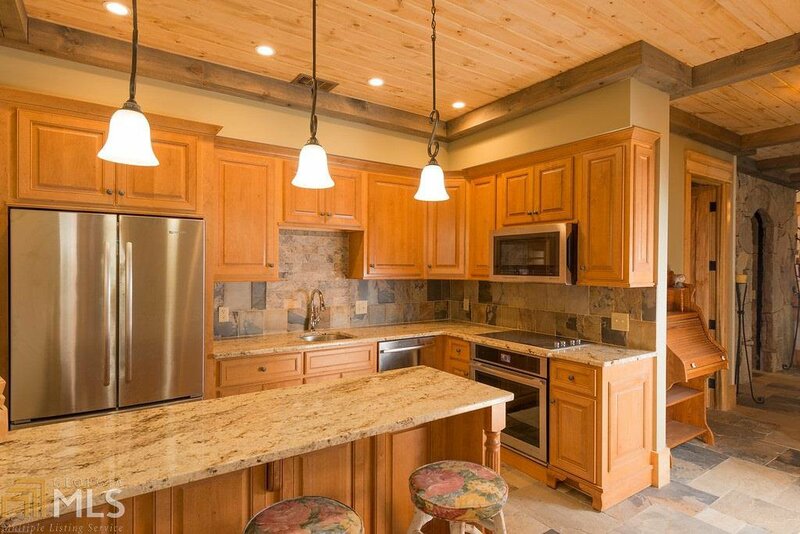 The chefÃ¢Â€Â™s kitchen is equipped with professional appliances, a large island & cozy breakfast nook with fireplace. 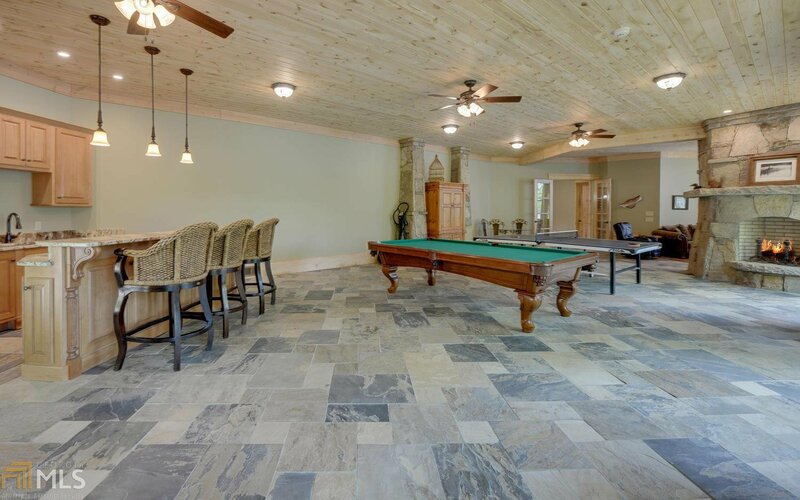 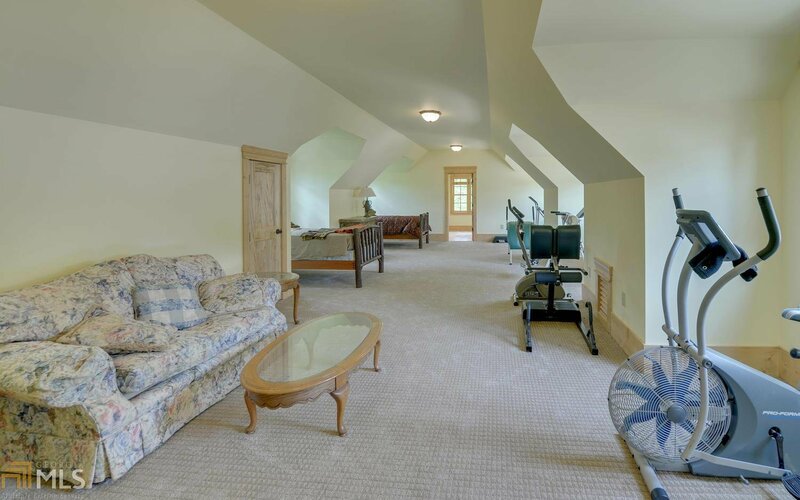 The terrace level features a family room with fireplace, full kitchen, wine cellar, game room with wet bar & lakeside covered porch. 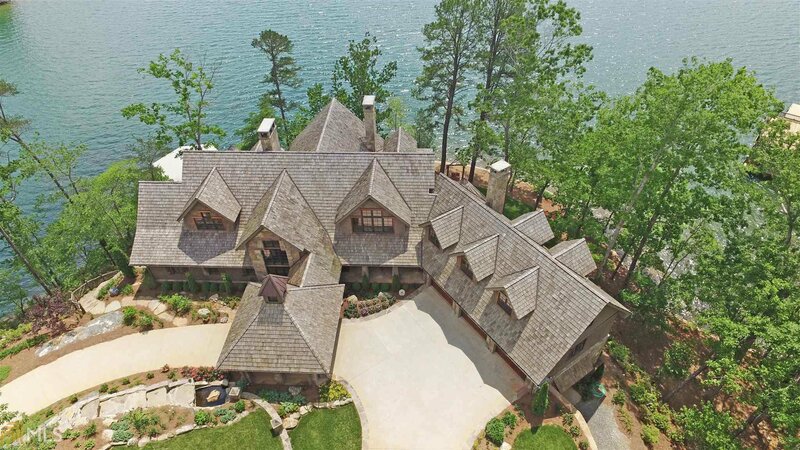 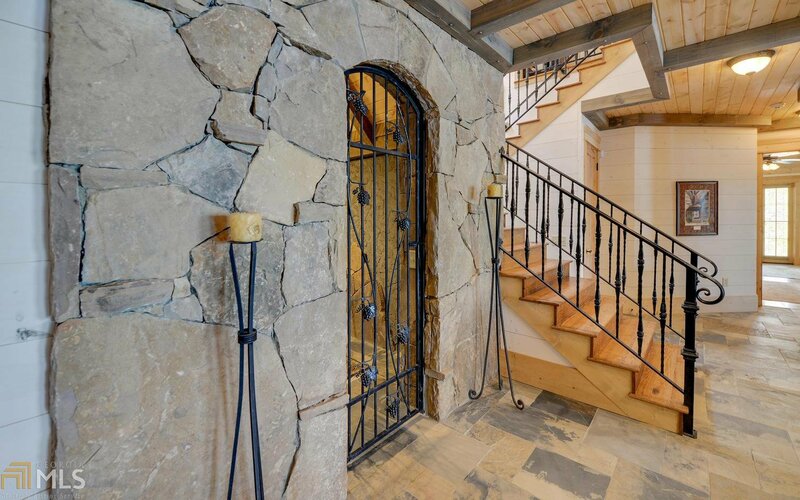 Amenities include: master on main, 3-car garage, detached workshop, 7 masonry stone fireplaces, fenced garden, dog run, 2-stall boathouse.